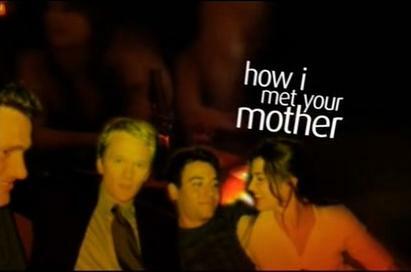 Quick Thoughts: HOW I MET YOUR MOTHER, "Tick, Tick, Tick"
This week's episode of How I Met Your Mother had me torn. I did not think that "Tick, Tick, Tick" was funny...at all, but I did find myself respecting the direction that the show was going in when it was all said and done. While I wasn't happy with the final product, at least I wasn't angry afterwards. The ending of "Disaster Averted" had me all riled up because the writers once again went to the Barney and Robin well which is more contaminated than the one on Herschel's farm on The Walking Dead. I've never cared about them as a couple, and after "Tick, Tick, Tick," I'm convinced that I never will. Having them make out was one thing, but having them cheat on Kevin and Nora just turned then into horrible people who I cannot root for. Yes, I know that Kevin and Nora were not supposed to be permanent partners, and the writers really haven't given us a reason to care about either of them, but that doesn't excuse Barney and Robin's behavior. While I do not excuse what Barney did, his character did not take a massive hit like Robin's did and that was what angered me more than anything. I have always been a big fan of Robin's, and I have not been happy with what they've been doing with her over the last couple of seasons. Now they've not only turned her into a cheater, but she also toyed with Barney's emotions and threw him under the bus. What the hell? All the complaints aside, I do have to commend the show for actually going there though. Having your main characters do cruel things to one another is not a trick most shows can pull off, so most do go that route. What Robin did to Barney was uncool, especially after that last scene of him packing up the rose petals and blowing out the candles in her room, but sometimes it's important for comedies to remind the audience that life's not always funny, and sometimes you hurt those you love the most. I may have not liked most of Robin and Barney's A-plot, but at least it had some redeemable qualities which could not be found in the the B-plot about the concert, "sandwiches", and getting old. One things that irks me about HIMYM is the fact that it loves to run a joke into the ground whether it's funny or not, and that's why I'm not a fan of the "sandwiches as pot" gag. It was worth a few laughs back in the day, but bringing it back just felt lazy. The same can be said about the unfunny quest for nachos which also wore out its welcome fairly quickly. Even the 2-minute reveal fell flat in my opinion. It's pretty easy to tell that I did not care for "Tick, Tick, Tick" because it was just another weak offering from this once great show. I'm glad that it's still willing to take some risks, but now it needs to focus on being funny again. I like your perspective on Robin’s character and the writers Marcos and reading a man’s perspective on this show for once is refreshing. I do think that it would be better if they would have kept Robin more consistent, but how long can Barney remain an oblivious jerk? If they get together who is going to care about Ted finding his future wife? Honestly I wouldn’t even have time to watch TV if I didn’t get a free DISH Network Sling adapter that gives me live or recorded TV from my employee DVR anywhere I go. Now with my iPhone and Galaxy Tab I watch when I have spare time and still spend quality time with my family when I get home. I wrote a very negative article about the Barney/Robin relationship in Season 7. You might want to check it out.